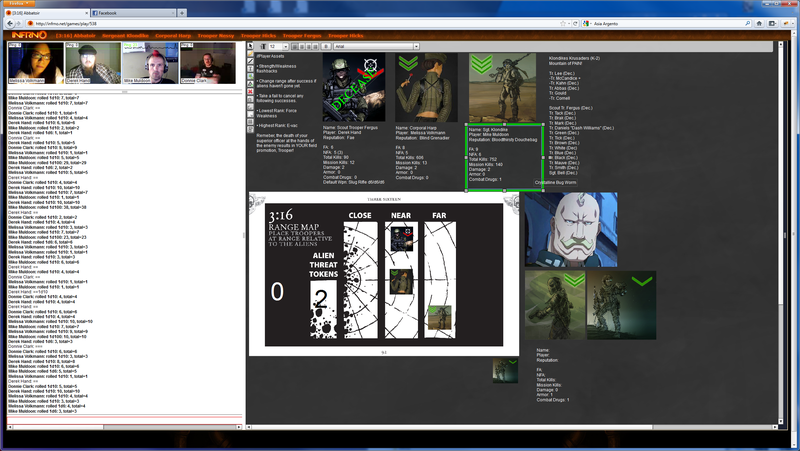 Infrno is social networking plus on-line tools, all in the table-top gaming space! Create your personal profile, your game and character profiles, and play with your friends over the internet using video chat, voice chat, and a shared game-table. Never be constrained in your gaming by geography or time again! Infrno is $4.99 or $14.99 per month for the full experience. An ad-supported, limited 'free lunch' program is also available. find games that work with your schedule, regardless of where they are in the world. meet and get to know other gamers from all over. have your character can live inside his or her own social networking profile. connect and play over the internet, using on-line tools tailored specifically designed to facilitate a robust gaming experience.